In late August of 2016, the Asatru Folk Assembly issued a statement that dispelled decades of carefully constructed obfuscatory rhetoric, declaring that their halls were only open to people of solely European descent who were also cisgendered and heterosexual. When challenged, they only redoubled the strength of their statement. Responses that questioned that stance or attempted to campaign for a more inclusive heathenry, were ruthlessly removed, while posts that espoused white supremacist, racist, homophobic, transphobic, and anti-Semitic views were permitted to remain by page moderators. In the days that followed, inclusive heathen groups, including Hrafnar and many of our allies, issued statements on social media reaffirming our own stance. Internal squabbles were set aside in favor of pursuing this larger threat. While the AFA is protected by the First Amendment of the US Constitution to conduct itself in whatever bigoted way it likes, it does not speak for the vast majority of heathens and those of other, related faiths and traditions. It does not speak for the majority of heathens within the US or Canada, and it certainly does not speak for the majority of heathens around the world. This fight is hardly new to heathenry, but Hrafnar’s position is, and remains, clear. 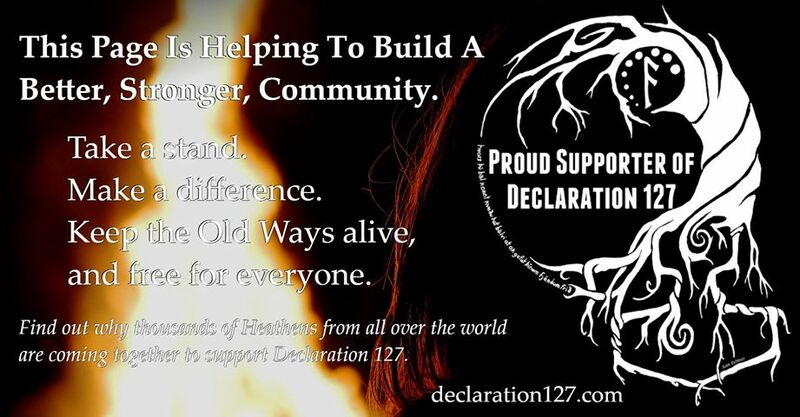 As one of the oldest continuously operating kindreds in the current modern heathen revival, Hrafnar is proud to stand alongside the other signers of Declaration 127.